Musings on marketing, persuasion and everything marketers do (and don’t), to make us buy. The world of management consulting has its Big 4 – the accounting/professional services firms KPMG, Ernst & Young, Deloitte and PriceWaterhouse Coopers, the Goliaths that define the industry and make competitors in that space inconsequential and insignificant. Which is why it seems like quite a coincidence that the increasingly convergent world of technology and business too is dominated by four Goliaths: Amazon, Apple, Google and Facebook. 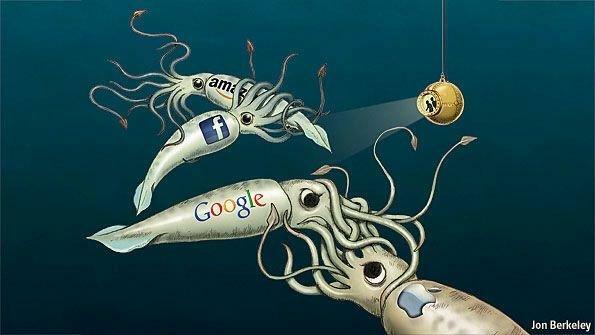 But is it really mere happenstance that the Big 4 of the business/technology world are just who they are? Probably not. The inherent similarity between the Big 4 is that they each are more an assortment of inter-related services (= Benefits and Values) than a singular product (= Feature). There is, of course, scope for improvement for each on these turfs and it’s not quite a level playing field across all product categories yet – a fact which they each are well aware of. Even so, as the Big 4 work on gaining competencies in new turfs and dialing up the aspects that they are not-so-competent in yet, the lines between categories, industries and software/hardware have increasingly started to blur. Here’s a strategic overview of how the Big 4 have been slowly yet steadily making forays into each other’s turfs. Amazon’s core competencies lie in E-Commerce, Distribution and Publishing. They have made a successful foray into the Device side of the platform via Kindle, and are rumored to be working on an Amazon phone that will be based on an Amazon-exclusive version of Android (“Amdroid”).The phone, like other Amazon extensions / diversifications will be aimed at ensuring you buy more from Amazon; and also provide Amazon more intelligence on your buying behavior and preferences – thereby supporting their core business. What next? Amazon needs to become more responsive to competition. Until recently, Amazon played the role of Challenger well in the tablet market. But after Apple’s punch-packed response in the form of iPad Mini, the once-clearly defined boundaries between the target audiences of Apple’s iPad and Amazon’s Kindle have now blurred. Amazon will need to define the Kindle’s differential value (if any) better, and given that Amazon has been selling Kindle at a loss, either the price-point or the offering itself needs revision. There can be no doubt that Amazon has a bright future ahead, and the sheer length and breadth of its portfolio is astounding. Amazon is a shining beacon of service-orientation; where service-orientation is actually the common denominator across the architecture, culture and operations of the company. Another unique aspect about Amazon is its symbiotic relationship with a co-member of the Big 4 – Google. However, the extent of their dependence on Android (and thereby, Google), is potentially also a huge risk in the cut-throat context of the Big 4. 2013 could prove to be a landmark year for Apple. As the most valuable company in the world, it has successfully made its presence felt across a good part of the tech ecosytem, ranging from hardware to software to distribution; Apple has yet to make a satisfactory mark for itself in the Search, Social and Data domains. To say their move to keep Google out of the geographical search domain out of the iOS sandbox has failed would be an understatement to an extent. Not only was Apple forced to bring Google maps back on iOS, they were also forced to come to terms with the reality that when it comes to anything Search (and Data collation related), Google is still very much the leader and Apple cannot claim to be a worthy challenger yet. Nonetheless, the reason 2013 could just be the year that features yet another genius innovation from Apple, is because Apple is working on converging Social , Data and Distribution together in a feature-loaded ‘iTV’, a move that tantamounts to bringing Apple, Facebook and Amazon together in your living room. What next? If there’s a company that actually has the financial bandwidth to build a platform of interlinked products in the immediate future, it’s Apple. Apple gets platforms and has a great grip on consumer insights (well, at least so far). Apple is great at rocking the boat, and challenging the status quo, and improvising on the existing. However, Apple does not get the concept of ‘Openness’, be it Open access or Open source. The time to re-evaluate the boundaries of the ‘sandbox’ may be closer than Apple would like to admit. Also, times have changed, and the need of the hour is for Apple to play defense (ideally, in the market and not the courtroom!) all the while not losing steam on innovation. While Facebook is the leader in the sociability aspect of the game, findability is definitely a work-in-progress area for them. They’ve tried to upgrade their Search functionality in the summer of 2012, a move which has brought them a few steps closer to becoming a Social Search engine. Mark Zuckerberg offered a very matter-of-fact summary of the move: “Facebook is pretty uniquely positioned to answer the questions people have’ – and plans to build more powerful search facilities as Facebook evolves.” Key phrase to note obviously being, “uniquely positioned to answer the questions people have“. And in spite of the sheer goldmine of data that Facebook has at its disposal (Of course it does, who are we kidding!) – they have miles to go in actually leveraging that data effectively, beyond its already launched Facebook Ad Exchange and Facebook Ads targeted/retargeted advertising solutions. What next? Facebook has access to the most-envied goldmine of consumer intelligence, and yet has always seemed to be indecisive and noncommittal about what it intends to do with it. Part of it is attributable to the fear of public backlash against using that data, but most of it has actually been because of the lack of clear vision on the the matter. They seem to be in constant experimental mode here, and that may prove to be detrimental to their cause. other trump card Google has in its repertoire is Android. 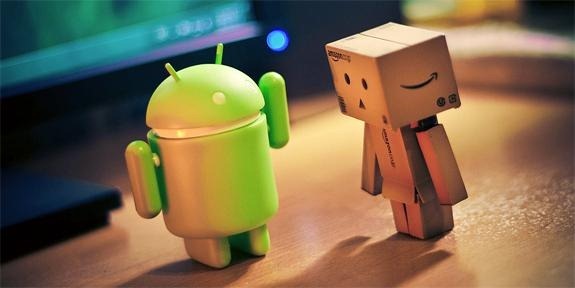 The International Data Corporation (IDC) reported that 3 out of every 4 smartphones shipped out in the third quarter of 2012 were Android-based. Meanwhile, Google Plus, as we know is Google’s not-so-successful attempt at conquering the world of social networking. While the API-starved network may have well become Google’s very own ghost-town, there’s reason to believe that Google Plus could evolve into the product that is the face of the Google platform – given how Google has begun unleashing its Search horsepower and content ranking capabilities on Google Plus, along with the integration of other unique features like hangouts, circles and other weapons from Google’s holisitic arsenal. What next? Google has its groundwork in place as far comprehensive platforms go. They have been shrewd enough to preempt the universal applicability of their main source of livelihood: Search (and Data-based intelligence). 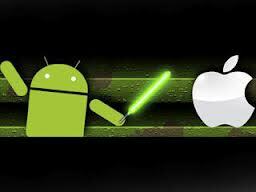 And they have been clever in initiating the open source/ Android movement years ago to restore balance in the i-Dominated smartphone world. They need to, however, ramp up their competencies in distribution/publishing and also social. Most importantly, they need to invest resources in developing well-rounded products that are actually good-to-go, as opposed to launching knee-jerk reactionary products (case in point: Google Plus) and then developing them on-the-go. Google needs to now prove that as far integration goes, they’ve still got it. 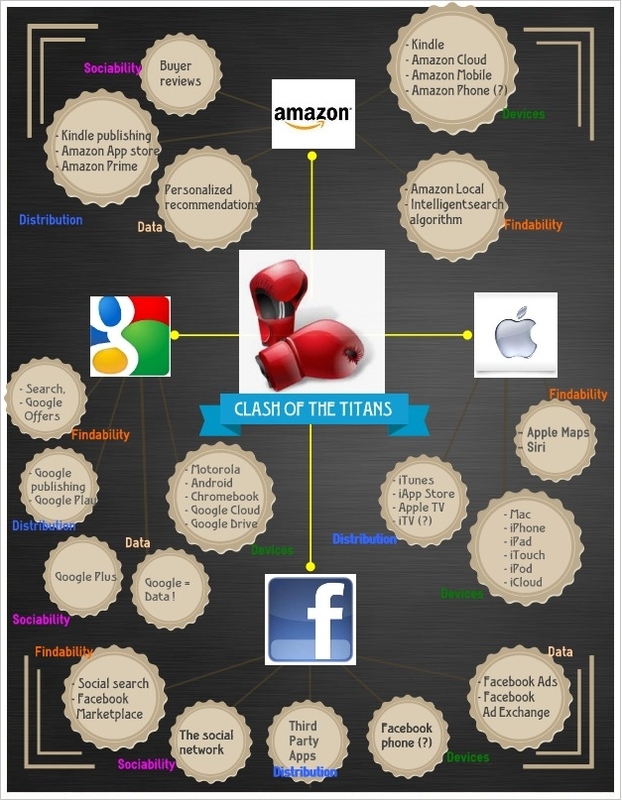 Now here’s a quick infographic to gauge how the respective platforms of the Big 4 stack up against each other. The argument about who is destined to win this clash will probably continue for a while. But it is clear that the player that will emerge a true winner from this clash will not be the one that launches the most innovative product of the decade, but the one that manages to integrate all its products into a single, tightly knit ecosystem that creates perceptible value for the consumer. Each of the Big 4 likely stands an equal chance of being able to crack this code – or maybe not. In any case, there are exciting times ahead for sure – for technology, innovation and business in general. And whoever the winner proves to be, my hope is that in the end, it is we the consumers who gain the most from this epic clash of the titans. You had us at “Subscribe”! Is iOS7 really taking us back to the future? Is the Internet of Things the future of narcissism?